If you would like to join us, please come along on a Monday evening and introduce yourself - you will be made welcome! 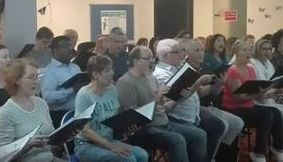 We will decide which section of the choir you will sit with (soprano, alto, tenor or bass). 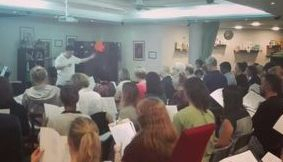 Voice parts are rehearsed carefully, and although it helps to have some understanding of notation, please do not feel anxious or be put off if you are uncertain of your reading ability. Other members of the section will help you - we are a friendly crowd. There is usually time for refreshments and a chat during each rehearsal. Our next concert is Handel's Messiah and rehearsals will begin on the 7th January 2019. New members are welcome to join up until the 28th January, though you may need to do some catching up! See our membership page for more information. 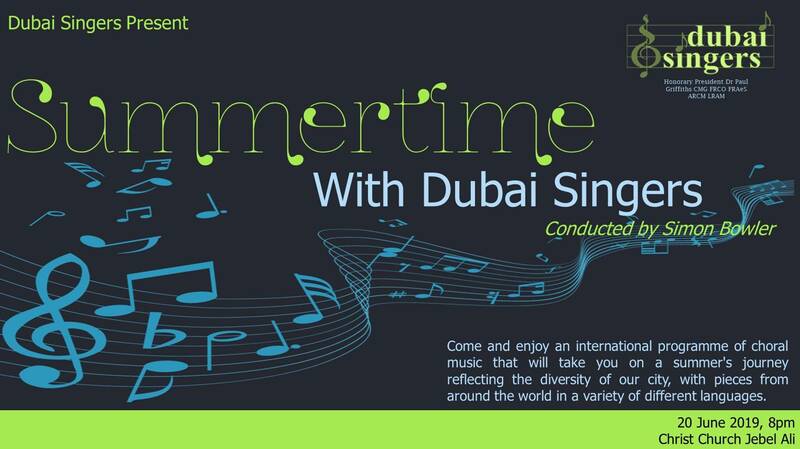 Over the years, Dubai Singers have not limited themselves to one particular type of music. 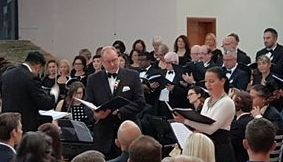 From great serious works such as Messiah or Faure's Requiem and less serious choral offerings such as Carmina Burana, to light-hearted fully staged operettas, musicals, and variety shows, Dubai Singers cater to a wide range of musical tastes. 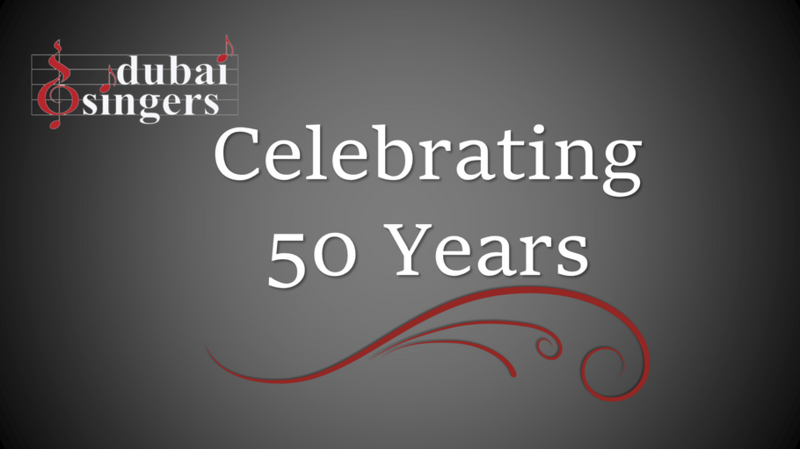 Dubai Singers are an enthusiastic group of music lovers who have been entertaining audiences in Dubai for 50 years. Men and women of many different nationalities and ages are represented in the group.